Wired: So let’s talk about the Zelda games that are on the table right now. Of all the Zelda games that you could bring back and do an HD version of, why Wind Waker ? What is it personally about Wind Waker for you that you wanted to reintroduce it? Because I always liked Wind Waker . I think when it first came out there were a lot of voices that said “I don’t like this direction Zelda is going in,” but I think time has shown that it’s a really timeless game. Aonuma: When we looked at creating a Zelda for Wii U, there were so many possibilities given the HD graphics. But rather than starting from zero, we actually ran a few tests. We tried converting other console games to Wii U. We actually did this with Twilight Princess and Skyward Sword . And the result of that was, hmm, those are semi-realistic representations of the Zelda world so we weren’t really surprised with what we got. But with Wind Waker , when we converted that to HD we were really surprised at how great it looked. We actually started thinking, maybe it was too soon to create that graphic style with the GameCube because of the limitations of the hardware. And we’re finding that we’re able to do what we wanted to do: The vision that we had then was being created thanks to the system specs and the HD graphics. It feels like we’re really able to create the complete Wind Waker experience on Wii U. In addition to the graphics, we’ve also got the GamePad and there’s lots of other pluses that we’re finding in converting to the Wii U system. When I suggested moving forward with Wind Waker HD , internally there was actually a lot of pushback. The reason for that is, people were saying, “Oh, that Link. People didn’t like that Link.” But in talking to our counterparts in the U.S., that wasn’t actually the case, people didn’t have that negative reaction maybe anymore to that younger Link. This worries me actually, as I like Windwaker’s art-style but I wouldn’t want it as Zelda U’s look. Nintendo should go for more of a look that can fully really show off the power of the system. But it is also interesting how there was some resistance internally from the Zelda U team who were against the WW art-style. Hopefully this distaste for that particular art-style will mean that Nintendo will go for a different style altogether. Personally, I feel that Nintendo should go straight for the style that they used in the tech demo. I’m pretty sure no Nintendo fan – or anybody else for that matter – would complain about that one. It’s pretty much universally accepted that that tech demo looks simply amazing. Which style would you like to see in Zelda U? Leave your thoughts below! Agreed Shok. Mario won’t show the power of the system, so that’s off the list. Metroid can definitely have a realistic theme, but knowing NIntendo, they’ll make it in 3 years while making the 5 Mario Sports games. 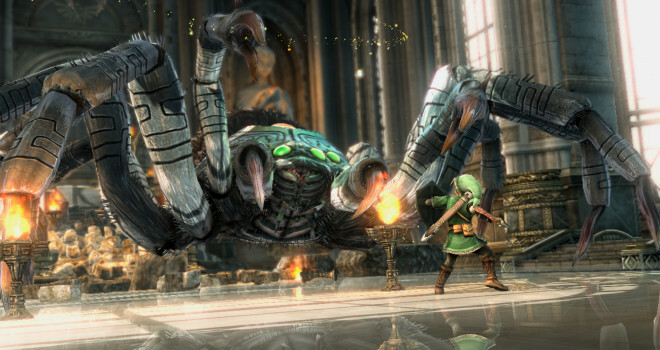 Zelda with TP style is my best bet for a realistic Nintendo game in the near future that shows the Wii U’s power. The tech demo style, without question. Zelda needs to put the power of the system on display and define the system. Since they already ported those games to HD on Wii U, according to this article, it would’ve been a better idea to go for an HD collection, instead of just Wind Waker. I’m all for Wind Waker HD, but I would love to see Twilight Princess and Skyward Sword in HD, especially Skyward Sword with its art style.